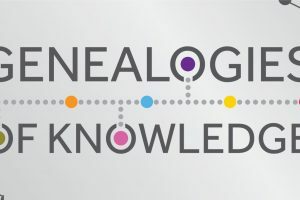 I am the first of the Genealogies of Knowledge project’s senior post-doctoral researchers to be appointed. I received my Ph.D. from McGill University in 2014 in Islamic Philosophy. For the past three years I have worked with Peter E. Pormann on Arabic medicine on an ERC-funded project on the Arabic Commentaries on the Hippocratic Aphorisms (2012–2017). I am co-editing with Peter E. Pormann a special issue of Oriens 45.1–2 on the medical commentary tradition in medieval Islam. My recent research focuses on the conceptual and textual interaction between philosophy and medicine in classical and post-classical medieval Islamic philosophy and medicine. I am currently writing an article on how Fakhr al-Dīn al-Rāzī (d. 1210) influenced the Islamic medical discourse in and after the thirteenth-century. My monograph, which is currently in manuscript, is a genealogy of Avicenna’s theory of logical implication. For Genealogies of Knowledge, I am responsible for constructing the pre-modern Greek, Arabic and Latin corpora. My personal research examines how pre-modern medical Arabic was used to translate French anatomy texts for use in the newly constructed medical schools and hospitals in the Arabic-speaking world in the nineteenth-century. In addition to tracing the evolution of Arabic medical discourse from the pre-modern to the modern, my ultimate objective is to see how pre-modern Arabic was used to articulate new ideas about the nature of the body.